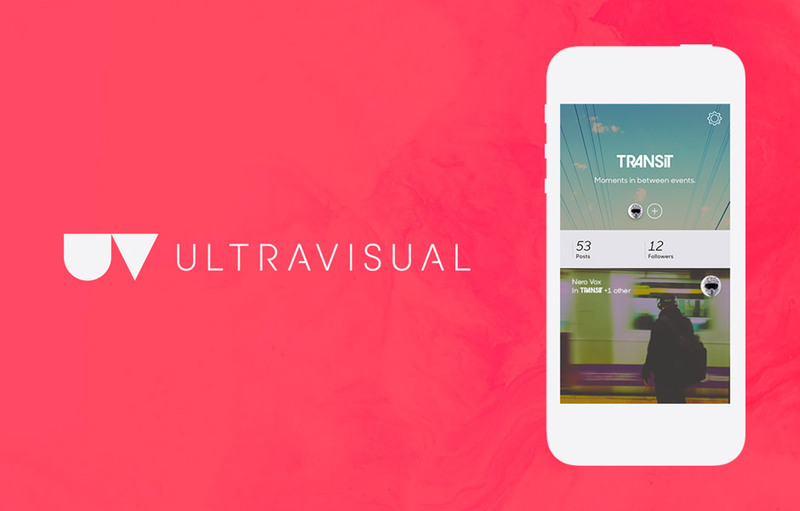 Part photo-sharing, part social, part multimedia editor—Ultravisual is a one-stop shop for the visual storyteller in of all of us. You can browse through stunning user-generated content posted by your friends and others. Capture photo and video right from the app, and edit it with powerful editing tools to create your own visual story. 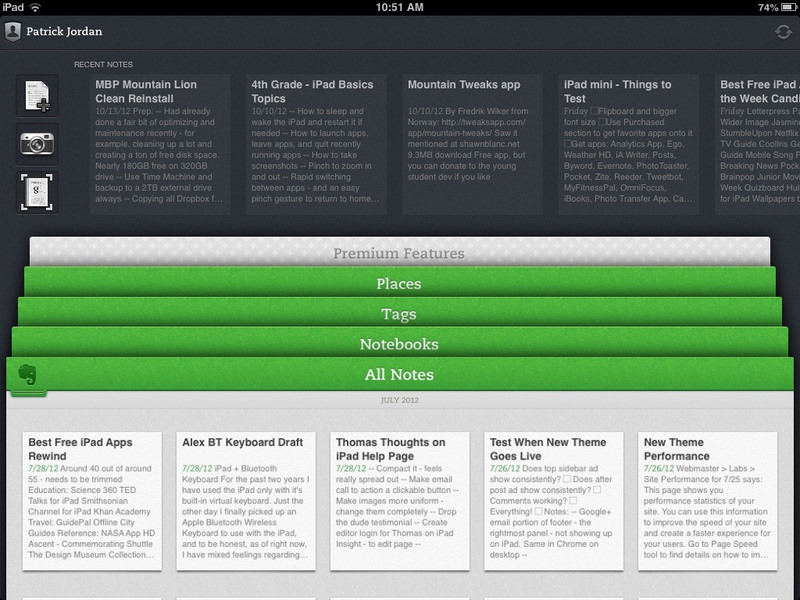 Share your creations into “Collections,” groups of content separated by topic. You can customize the app so that only artists that post content relevant to you show up on your stream. The beautiful, minimal design of the app makes the entire experience feel authentic and professional. Brushes is a simple-to-use, robust mobile painting app. It boasts a full suite of features that any budding Bob Ross will need to create masterpieces: from layers support, auto-saving, and adjustable brush settings. Brushes even makes sharing easy with native Dropbox, Twitter, and Facebook support. The OpenGL based painting engine ensures the app is responsive and able to keep up with you, regardless of your skill level. A bonus feature lets you record each brush stroke allowing for seamless playback of the making of your creations. Meet the Pandora of the art world, complete with the Art Genome Project®. Artsy puts the entire art world in your pocket, according to developers. You can browse, collect, and share thousands of high-res images and collections that are updated daily. With features that allow you to search by artist or keyword, discovering new artists has never been simpler. 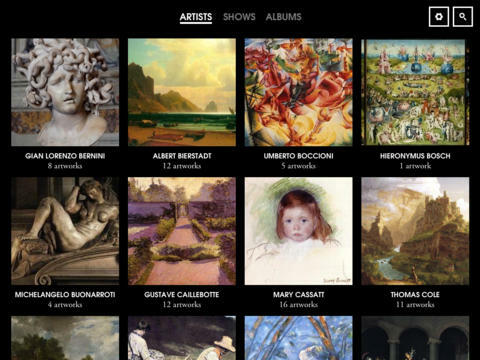 The Art Genome Project® maps the characteristics connecting the world’s artists and art, making it easier to search for artwork based on topic, content, and influence. With Artsy your well for inspiration is always at the tip of your fingertips. 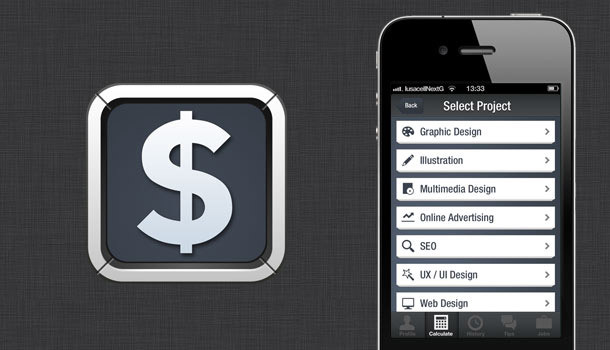 MyPrice is an essential app for any freelancer new to the business. Pricing is one of the most difficult things for rookie freelancers to figure out, and it can be daunting to face alone. MyPrice calculates the price of your project based on the difficulty and complexity of the job and your professional background. All you have to do for initial setup is register and input your professional information. Once you’re ready to start a job you input all of the components necessary for completion. It even offers tip and advice for rookies to help them avoid bad clients and unpaid invoices. Ever been out and about when you notice a gorgeous color combination that you want to save for future projects? 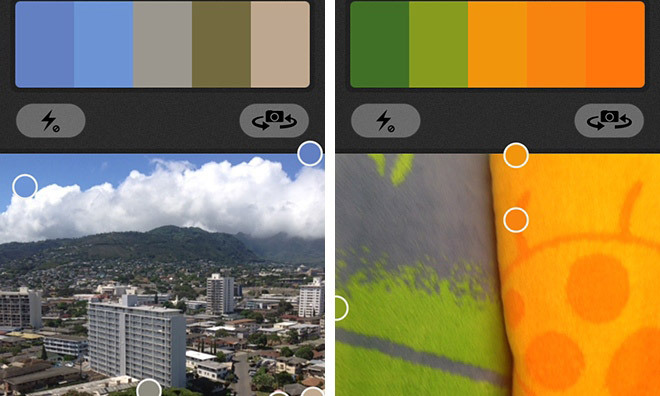 With Adobe Color CC all you have to do is whip out your phone, snap a picture and the app does the rest for you. If you already use the Adobe Color service, you can save and sync new and existing color themes. For those getting started, the app offers features to experiment and discover new combinations. With an interactive color wheel and RGB sliders, you can edit presets based on color theory and much more. 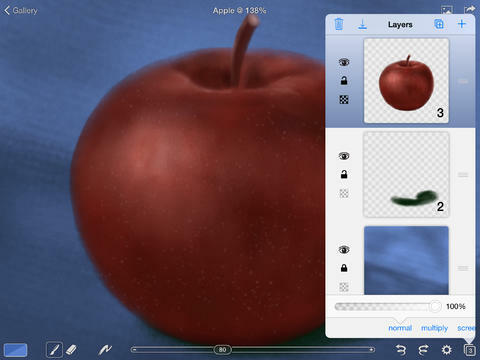 Similar to Brushes, Adobe Ideas is a mobile painting app compatible with the iPad and iPhone, which comes with the familiarity and comfort of the Adobe Creative Suite. You also get the comprehensive full feature set we’ve come to know and love from Adobe. This app makes creating professional vector illustrations on the go surprisingly simple. And when you’re done, you can upload them straight to Creative Cloud to refine in Illustrator or share them directly to Facebook and Twitter. Sometimes the creative process is dazzling, fun, and exciting in a way that makes your head spin. Other times it’s a difficult obstacle course full of roadblocks and surprise twists. 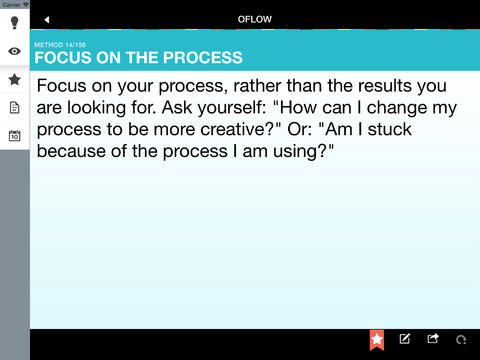 Think of Oflow as OnStar for your creative process, ready to get you out of a creative jam with a simple tap. Oflow works by offering hundreds of creativity prompts that are proven to get your mind going, and get you past that block. You can bookmark your favorite prompts and export or share your notes. The app even allows you to set daily reminders to keep your mind in top form. Calling all app designers, this is the only prototype tool you’ll ever need! Draw your app ideas on paper and import them directly into the app. 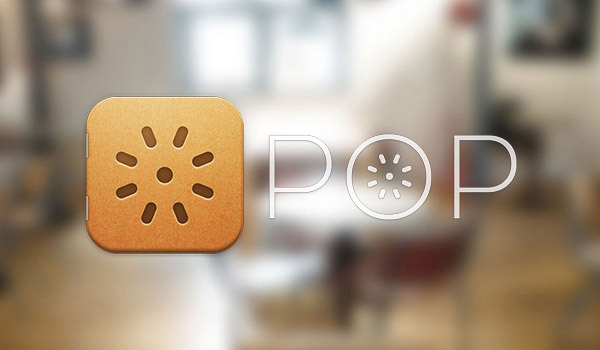 Pop lets you visualize the user experience and design. You can link buttons to your prototype to create a working mock up that can be shared with your team. This list would not be complete without Evernote. Evernote is the must-have app for anyone regardless of industry and with reason – it is the most comprehensive productivity/note-taking available and it’s free! You can take notes, organize your notes with tags and notebooks, search your notes, make lists, capture ideas, and much more. You’re able to add relevant photos and media to your notes. The potential is limitless; you can plan for anything with this daunting feature list. Never lose a thing, with Evernote’s powerful search tool and access it from any connected device.